During the bitter Syrian conflict, the people of Aleppo would experience a very different White Christmas to the ones we dreamed of. The city was dusted in a haunting blanket of white, unfortunately caused by barrel bombs falling from the sky rather than snow. 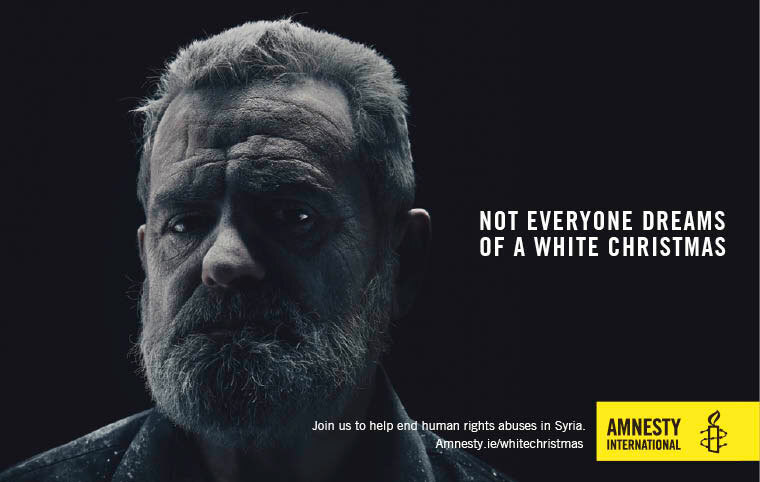 Throughout the festive period, we used this juxtaposition to help Amnesty International in their fight to end human rights abuses in Syria, with our 360-degree campaign bringing the reality of a Syrian White Christmas to the fore. A poignant cover of Bing Crosby’s much-loved ‘White Christmas’ classic became the soundtrack to our launch film, which was debuted to Maximum medias 1.1million strong audience. Amy Huberman and Andrew Scott gave a voice to the voiceless Syrians caught up in the conflict, by reading their testimonials on national radio and online. 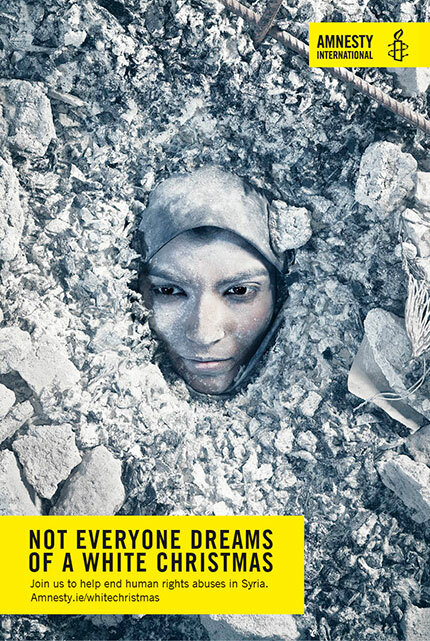 National press and outdoor featured emotive portraits of what a Syrian White Christmas looks like. 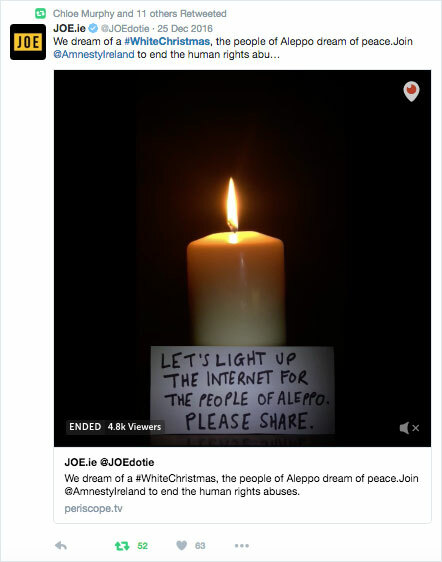 And on Christmas Day we lit the Amnesty International candle for the people of Aleppo and broadcast it on Facebook LIVE.